Gasoline Motor Co are now offering an exclusive RSD custom package to help give your HD Sportster or Iron 883 a low down cafe racer feel. This cleverly engineered kit comes complete with precisely machined accessories made by USA’s own Roland Sands Design. The kit is designed to boost the performance and handling of your motorcycle as well as making it look cool and custom. Gasoline Motor Co. are offering this kit at an extremely attractive price point either on its own or with expert installation at an additional cost. The full list below includes over $6,000 worth of genuine RSD parts at just a fraction of the retail price. This is the ultimate High Performance intake from RSD. They've combined the best in performance and light weight with an ergo friendly slanted carbon intake filter from K&N. Their new Slant Filter element gives more knee clearance and a slanted surface that’s easy on the body during hard riding. 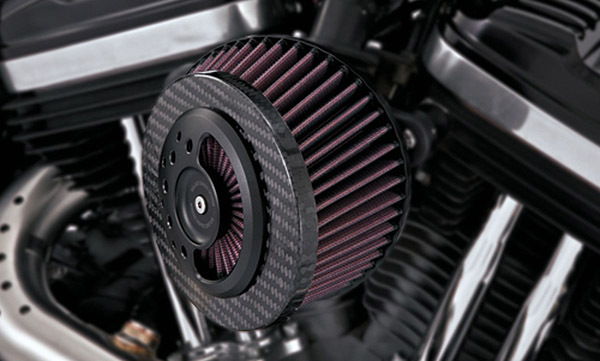 The Filter element is coupled with our newest backing plate shape from Vance and Hines for industry leading filtration in a simple package. These RSD Clip-Ons mount to the front forks, below the top triple clamp, for a low handlebar position. They utilise all stock wiring, so there is no cutting or soldering. The aluminium bars are dimple milled to allow for stock wiring to cleanly exit your stock switch housings. 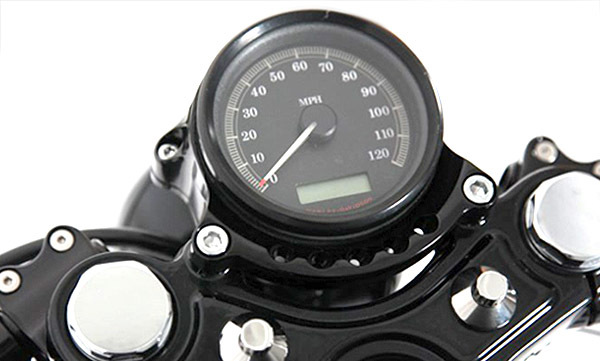 The Café Gauge and Headlight Re-locator lowers your headlight and gauges to a more sleek position from the top handlebar clamp down to the front of the top triple clamp and lowers the stock headlight 2 inches. This allows for the use of any aftermarket risers or complete elimination of risers for use of the RSD Café 39mm Clip-Ons. This exhaust features a high quality finish and an amazing deep and full sound while the carbon fiber slant tip adds that extra touch of style. This is the racing inspired touch you’ve been searching for and a great addition to your ride. Comfort and control are obviously very important when ripping down the highway or through the twisties. We are big fans of being in control and these Renthal rapped Tracker Grips are the perfect link from your hands to your bike. Tacky comfortable rubber with a profile that matches the contour of your hand are critical and the tracker grips provide that combo in spades. When utilising the RSD Café Gauge and Headlight Re-locator, keep your LED light functionality with a LED unit. High output LEDs ensure your display is clear and visible at all times of the day or night. When installing Clip Ons you can now use these Misano race styled Riser Hole Plugs to clean up the holes in the top of your stock triple clamp. Designed to match RSD Misano fork caps and stem nuts. These race inspired levers are not only stylish stock replacements, but customizable for any size mitt. Enjoy the comfort of adjustability and a wide finger pull area on the RSD Regulator Lever. 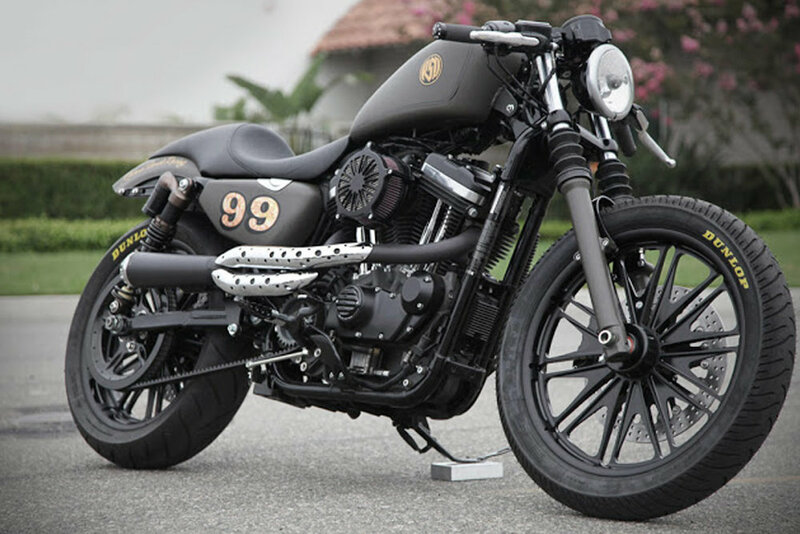 The New RSD Café Sportster seat takes the simple line of a café tail and blends it with the tank and frame rails of the stock HD Sportster creating a clean, comfortable and custom detailed seat. Perforated number plate and seat area define the shapes of the seat and supply a deep seating area for a secure riding experience. RSD Steel Eagle badge caps off the design. The RSD Café seat is the perfect complement to the rest of the RSD café line of products. 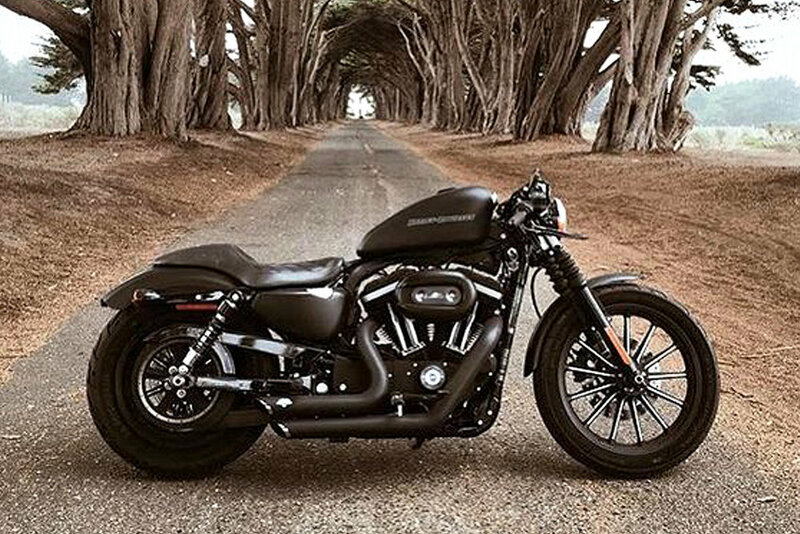 RSD Harley-Davidson Cafe Racer Kits must be purchased as a complete set, parts are not sold separately at discounted price. Gasoline Motor Co. can fit all parts, however an additional fee will be incurred, please contact us for more info.